I finally broke out my vinyl that I've had for ages and cut this on my Zing. Some of the letters are so thin in spots I was afraid it wouldn't cut good, but she did awesome!! 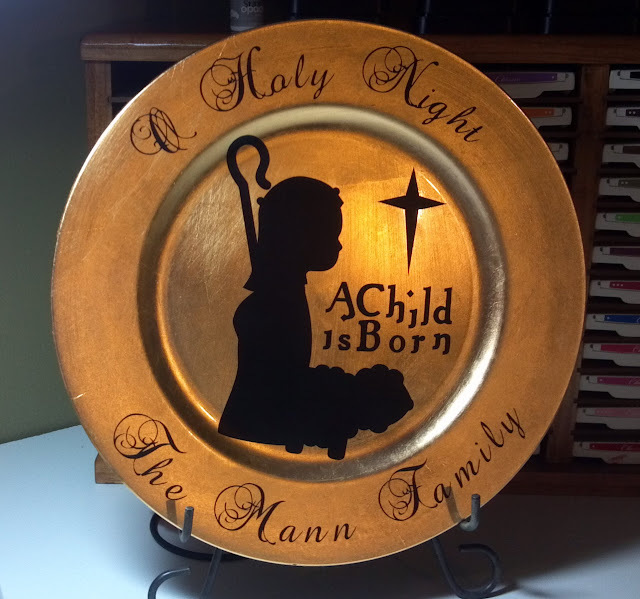 I used the shepherd and lamb from SVGCuts O Holy Night collection, I assemblied them in Make the Cut and welded together to form the silhouette. 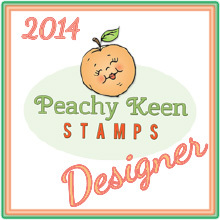 The font I used is called Precious, it's very pretty, you can do a search on the web for it. Well I received my Zing last Wednesday and I have been playing every chance I can get. I really love it. It's so much different and greater then my cricut, it's definitely a giant step up, I have the settings down pretty good already and I'm getting fantastic cuts. I just started to align my print n cut, which I'm so thrilled about. First I had some issues with delicate cuts but Andy did an update to Make the Cut and the Zing driver and now I'm getting beautiful cuts and they are working on an intricate blade so I'm pretty excited about that. Here are a couple of projects that I have made so far. 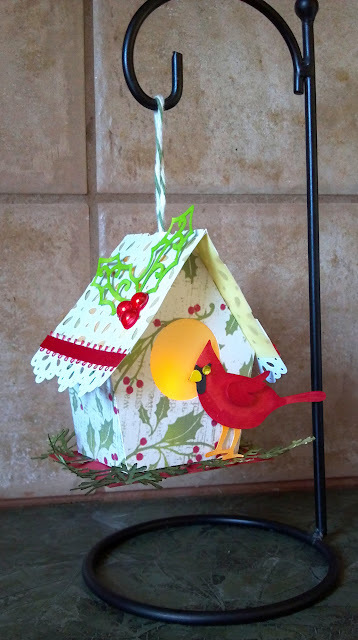 For Nutcrackers in November Challenge Ten over at Make the Cut's Forum, you need to decorate the birdhouse that MichelleMyBelle created in MTC, you can find it here. 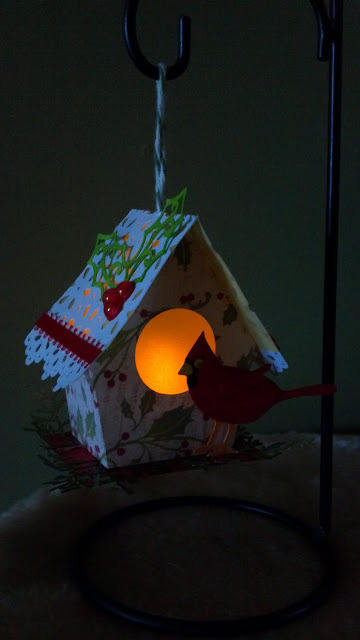 I made my birdhouse into a luminary. 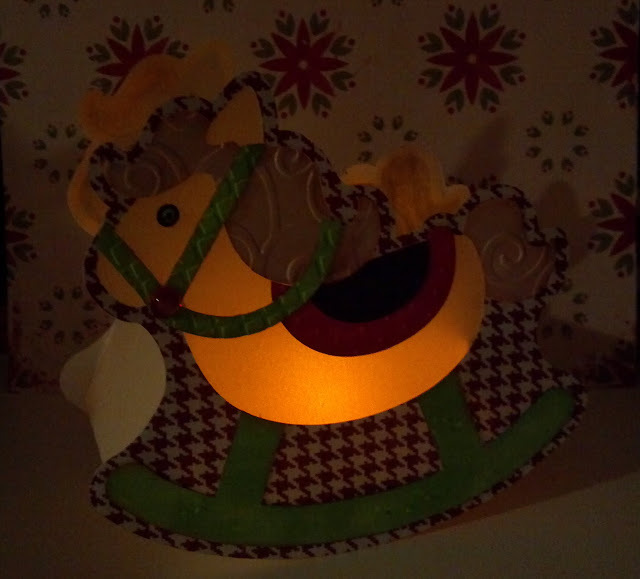 I used the lace paper from SVGCut's Robin's Return Kit and put vellum underneath so the light comes through the holes. 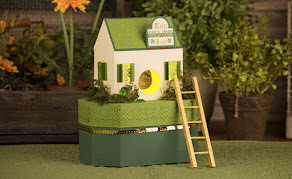 Except for the birdhouse all cuts are from SVGCuts.com. 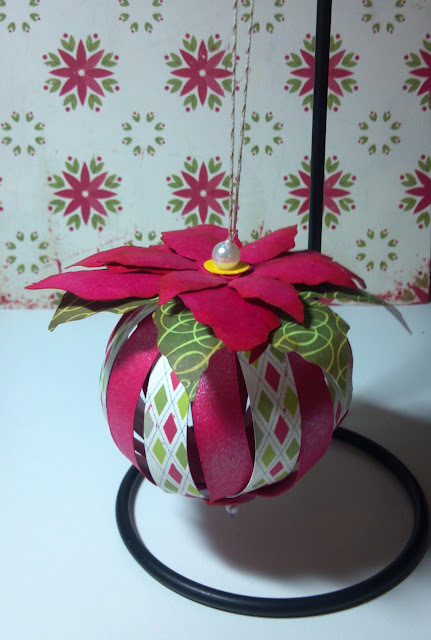 This would make excellent teacher gifts, it's very quick and easy to make, and very pretty. 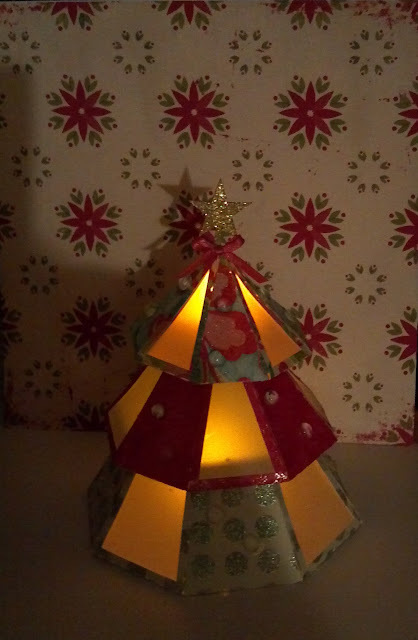 The Nutcrackers in Novermber Challenge over at Make the Cut has started and Challenge one is to create something from the Holiday Paper Pack which you can download from the link on the forum. 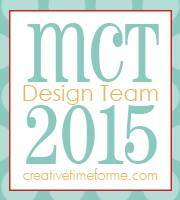 If you would like to participate head on over to the Make the Cut here. 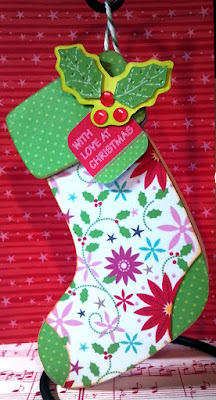 I decided to use the stocking card from SVGCut's Shaped Christmas Card Kit, I thought it would show off some of the pretty paper from the paper pack. Make the Cut has some really nice new features one being the knife tool and Bezier pen, so with them both I was able to cut the toe and heel out of the stocking and curve it. 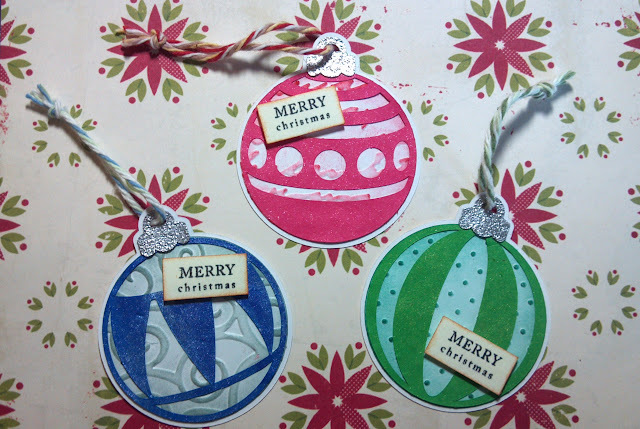 I also used the holly and berries and the little tag from the half sheet of tags that comes with the Christmas paper kit. 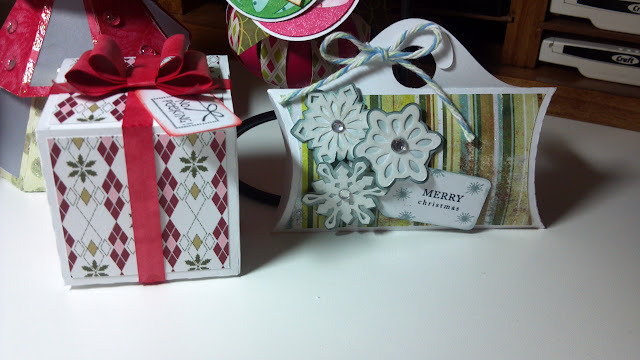 I brought the holly into Make the Cut and broke the pieces apart so I could cut them out separately. 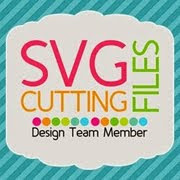 Check out this Video from SVG Cuts! !